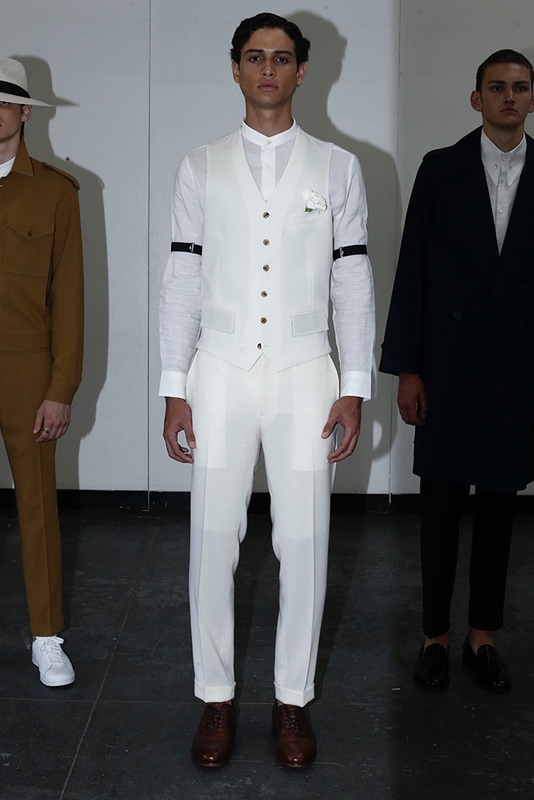 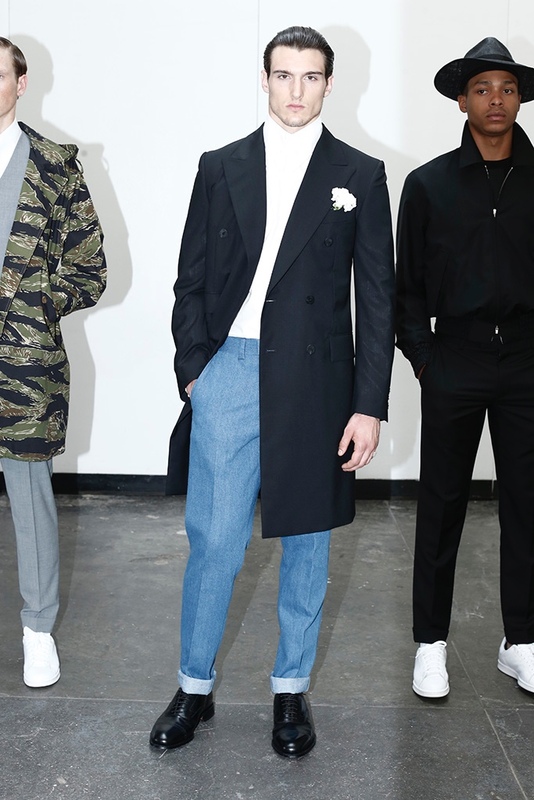 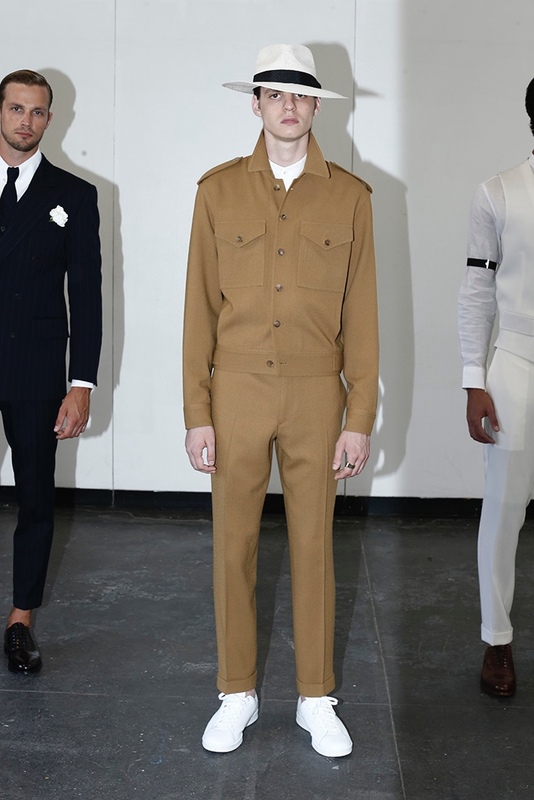 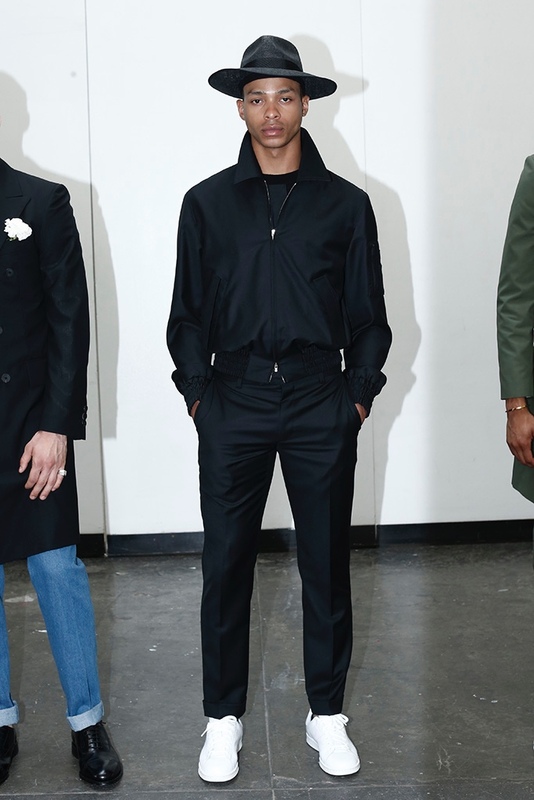 Eponymous made its fashion week debut with a concise presentation that showcased the brand's tailored narrative. 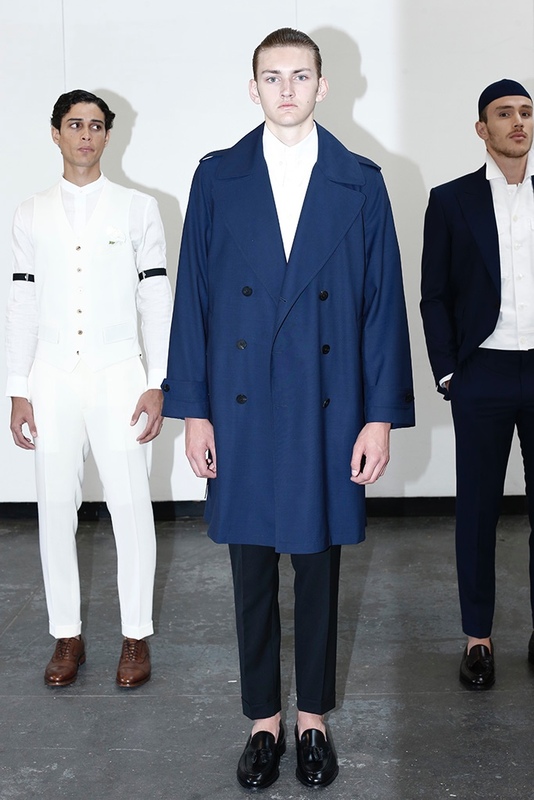 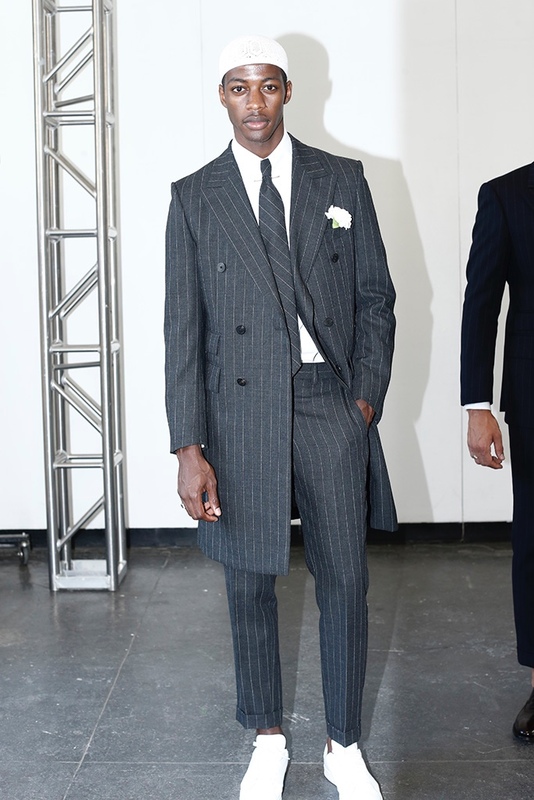 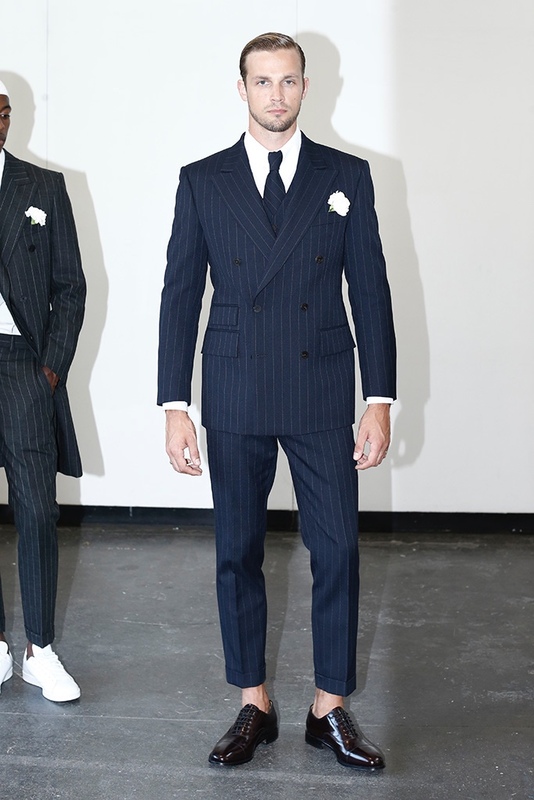 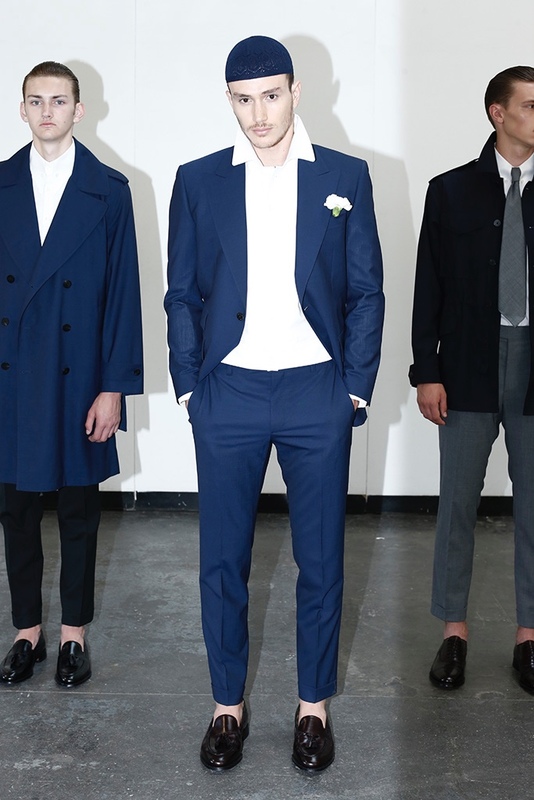 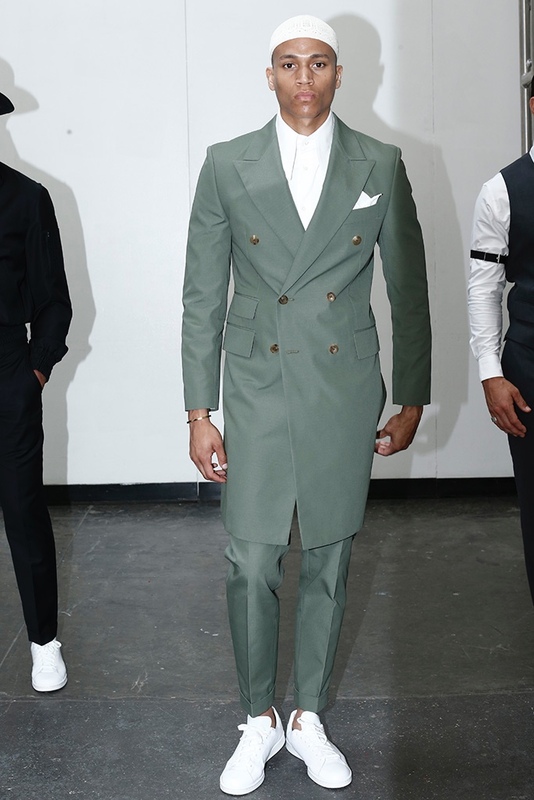 A lineup of suiting, which included the three-piece suit, pinstriped numbers and a double-breasted overcoat made a nostalgic gesture to eras past when suiting was a typical part of everyday dress. 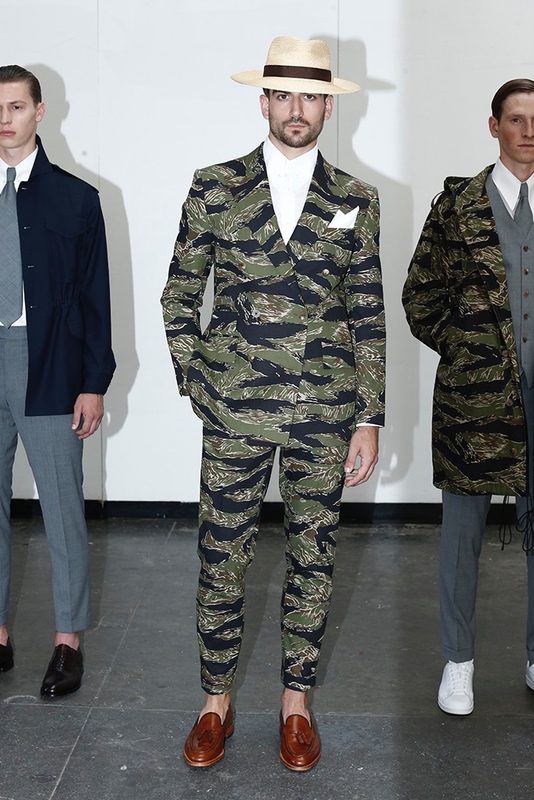 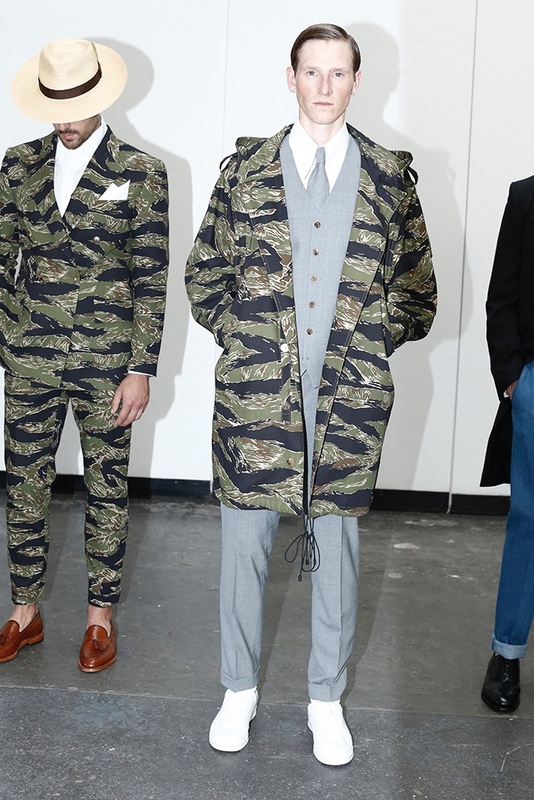 Rounding out the range with a hint of sportswear, tailored jackets and camouflage print outerwear were definite standouts.